Let’s be honest—ever since we saw our very first pair, most of us developed an inner nerd who’d love nothing more than to rock a pair of big square glasses. And we’re not talking about those sleek, geek chic eyeglasses that are all rimless and professional looking. 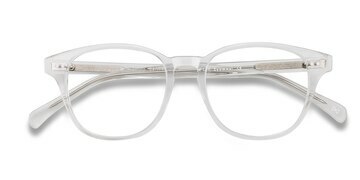 No, we’re talking about frame styles that your grandpa would wear, eyeglasses with that viciously vintage feel. You know, those Buddy-Holly-looking, big square glasses that would make even the hippest of hipsters envious. Large lenses, thick rims, 90-degree angles, lines for days. These are big square glasses that Anna Wintour would dream of… if there ever came a day where she decided to start wearing glasses indoor like a normal person. 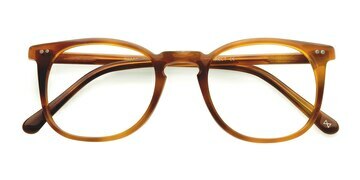 On the prowl for some vintage-inspired, square eyeglasses? Well, we’ve got some good news: from Blues Brothers to Mad Men, all of EyeBuyDirect’s square glasses have that nice, big, vintage look. Now, some of you may be thinking, “wait, didn’t Belushi wear wayfarers?” True! And yes, we know they’re sunglasses, but hey—Jake and Elwood did bring that frame style back to life. Anyways, just like all squares are rectangles, lots of our wayfarer frame styles fit the big square glasses bill. So while you search for some serious squares, make sure to include wayfarer frames in your hunt. Picture this in your head: someone wearing glasses with a chunky, black frame and oversized lenses. Who do you see wearing them? Probably that guy in the coffee shop who’s always working on his fashion blog and doubles as a barista on the weekends. Although they have been a cornerstone of men’s fashion for decades, big square glasses know no gender. For example, one of the biggest fans of square glasses? Everybody’s favorite girl next door, Jennifer Aniston. Whether you’re one of the greatest actors of all time or a fashionista/barista combo, big square glasses don’t care. Big square glasses are great for men and women who have round, or round-ish, face shapes. The angles help to compliment the curves of round face shapes, giving them a beautifully balanced look. How do you know which glasses work best with your face shape? When matching glasses frame shapes to face shapes, the rule most use to help find a pair of glasses that look good is to choose a contrasting frame shape. For people with round, oval, or even heart-shaped faces, that means square glasses! And if you don’t know what your face shape is or which frame shape works best for you, fret not. Check out our guide on face and frame shapes to find your best fit. By the way—just because you want to wear big square glasses, doesn’t mean your face needs to be round. At the end of the day, your glasses look good because you make them look good. 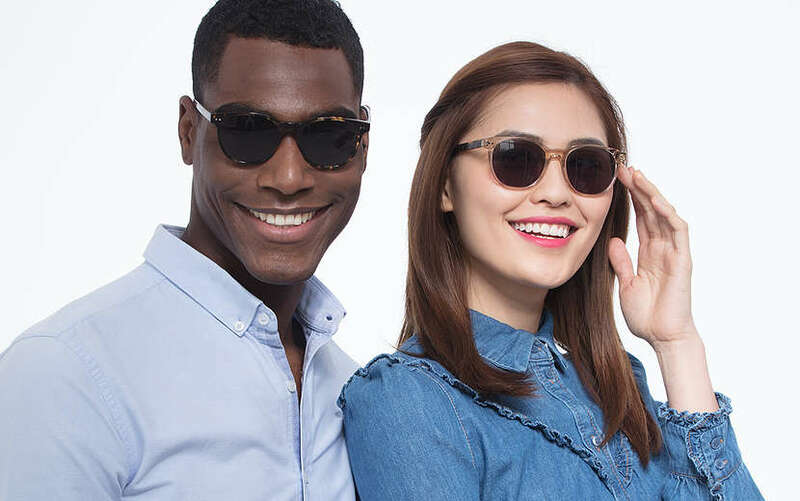 At EyeBuyDirect, we believe the best glasses are glasses that make you happy. And for those of you who don’t wear glasses, EBD can help change that. If you’ve managed to read this far with your perfect, 20/20-vision, there’s a strong chance that you may have a case of eyewear envy! 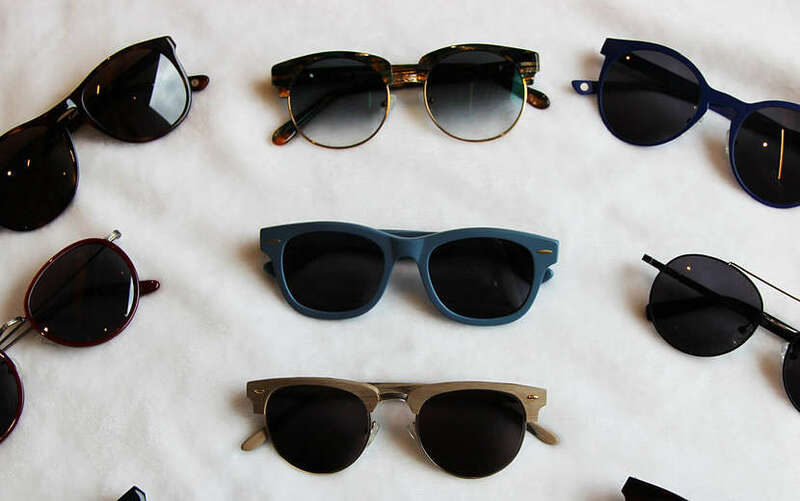 We’re here to let you know that eyewear envy is okay, it’s only natural to want to wear awesome glasses all the time. 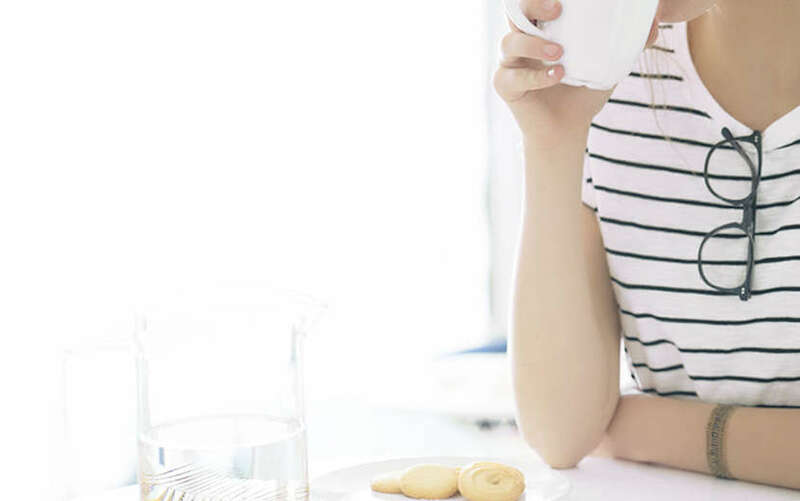 Better news: you can wear eyeglasses even if you don’t have a prescription. That’s right, now you can unleash your hidden hipster with some big square glasses. All you have to do is pick a some big, square frames you like, click Select Lenses, and then make sure to choose Non-Prescription as you go through all of the lens options. So what’s the best news? 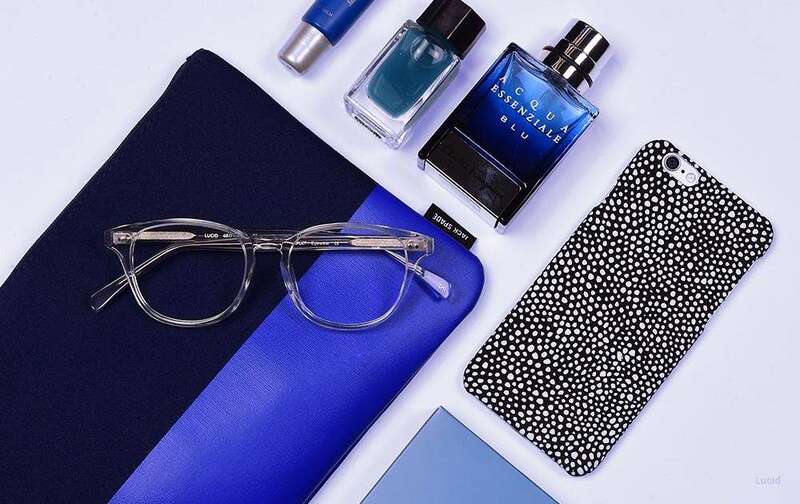 You can get amazing, retro eyeglasses from EyeBuyDirect starting at just $9. Check out our square eyeglasses page for a handpicked selection of all our favorite square frame styles.